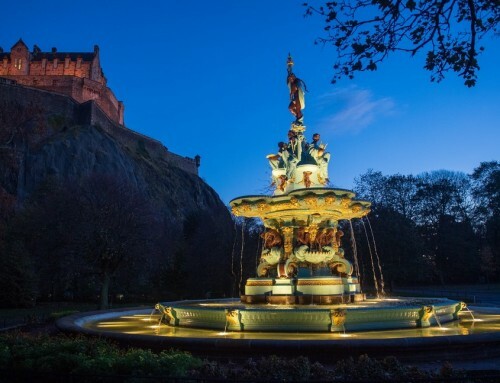 28 Apr – The restoration of the Ross Fountain continues with the return of the structure’s four upper bowls. A crane dropped the features into place on Thursday morning, with the West Princes Street Gardens landmark’s major revamp nearing its end. The reconstruction is a delicate operation with the four sections that make up the quatrefoil-shaped bowl weighing two tons each. 27 Apr – Chris Stewart Group has added another award to its growing trophy cabinet, having won the British Council for Offices (BCO) Refurbished/Recycled Workplace category for its Greenside development at the Scotland awards ceremony. 26 Apr – LDN Architects revised design for a new block of flats in Edinburgh’s Morningside, abandoning their previous brick-fronted block in favour of a sandstone finish, with setback zinc cladding panels at high level. The property bookends a tenement on Canaan Lane, at the site of a former public toilet. 25 Apr – Wavegarden Scotland approved to develop Scotland’s first artificial surf park ad leisure complex, which will be nestled within a 23 hectare country park at Craigpark Quarry near Ratho, Edinburgh. 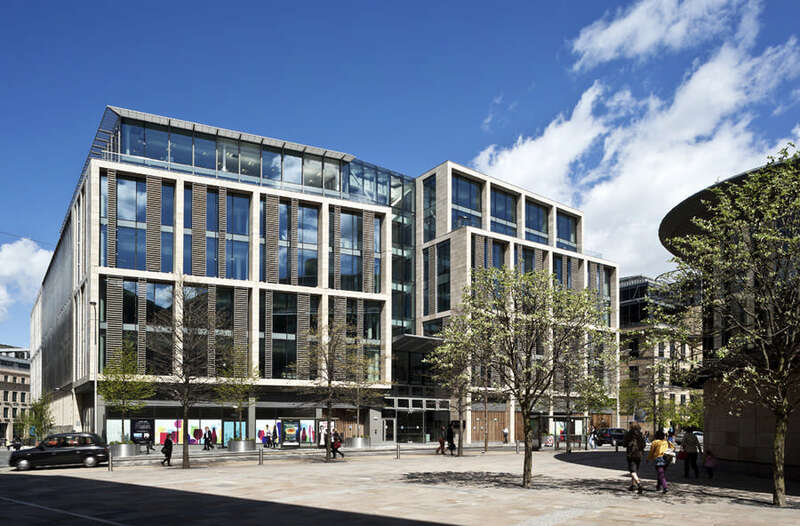 25 Apr – Online travel agency Trip.com unveils their Edinburgh HQ, a 13,000sqft office space by HK Surveying and Design, report urban realm. 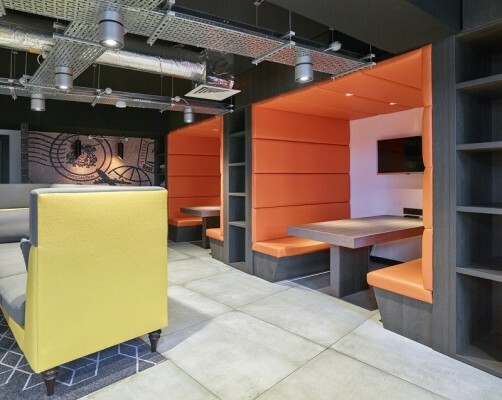 The interior space seeks to bring fun and excitement to the workplace by way of ‘wacky’ interiors in an effort to attract and retain staff. This includes a ‘biophilic’ design approach complete with a set-piece overhead planting feature playing host to 600 plants, all in the aid of reducing work related stress. According to the Scottish Property Federation (SPF), figures at the end of Q1 2018 show that for every build-to-rent (BTR) home in Scotland, North West England has nearly 10. The research, compiled by Savills on behalf of the British Property Federation, calculated that Scotland currently has 3,365 BTR homes complete, under construction or in planning. In comparison, the North West has 29,600, the South East (excluding London) 7,101, the West Midlands 6,378 and Yorkshire and The Humber 5,131. 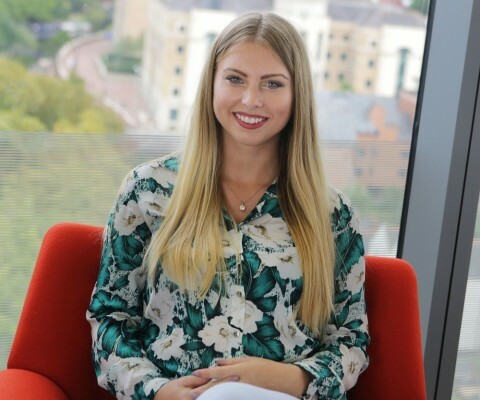 An Edinburgh architectural student is celebrating her first-year anniversary of working with planning and design consultancy Barton Willmore, after initially joining the company for just a five-day work-placement. Anita Bielatowicz, aged 26, first joined the Edinburgh office of Barton Willmore for a week’s work experience in February 2017 as part of the company’s community benefit pledge linked to their involvement in the 21st Century Homes programme at Pennywell, one of Scotland’s largest and most successful homes-led regeneration projects led by developer Urban Union and contractor Robertson Group. At the time, Anita was two years into her Architectural Technology course at Edinburgh College, studying at the Granton Campus which borders the wider Pennywell regeneration area. The communities benefit scheme was set up to allow professional companies like Barton Willmore to give something back to the communities they are working with, in the form of local investment or providing employment opportunities. 23 Apr – Dundee City Council has signed an agreement with industry body Homes for Scotland (HFS) aimed at ensuring the on-going delivery of the range of homes required to meet the needs of its population. Building on the positive relationship between the Council and the home building industry, the agreement signifies a commitment to further improve the way they work together to deliver more homes and increase the social and economic benefits for the city. The Edinburgh Architectural Association is pleased to announce the shortlist for the 2018 EAA Awards. In total 58 submissions were received, all projects are designed by registered architects and built within the chapter area, with exception to the Ambassador Award which is built out with the chapter. 20 Apr – a delightfully elegant contemporary property in Cairngorms National Park by Scottish architects Brown + Brown, located high above the River Don overlooking the ruins of Glenbuchat Castle. 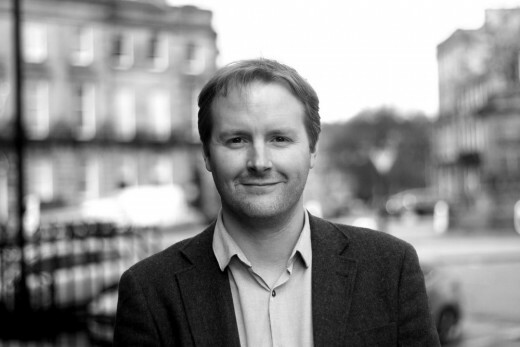 17 Apr – With a degree in Architecture from Edinburgh University, Brian has held senior positions in architectural practices including Richard Murphy Architects and Coffey Architects. 11 Apr – 3DReid has completed a £2.7m refurbishment of a former student residence to create a three star, 45 room hotel for Edinburgh First, the commercial arm of the University of Edinburgh. 7 Apr – The host of this year’s RIAS Awards Dinner will be broadcaster and author, Sally Magnusson Hon FRIAS. This black tie event will be held at the Glasgow Hilton on 20th June 2018. 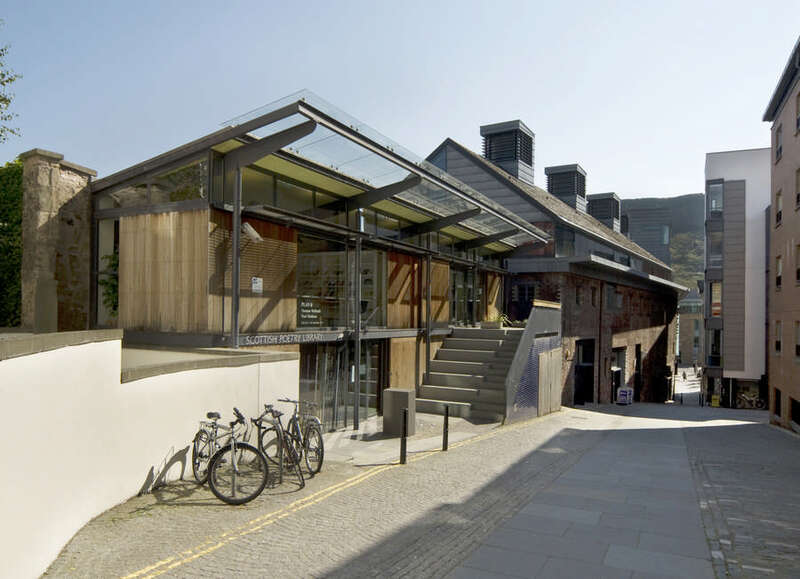 It will include the presentation of this year’s RIAS Awards and the announcement of the RIBA Awards for Scotland as well as the presentation of the sub-category awards. More on our events page. 7 Apr – a special, hors-série masterclass on Monday 23 April. 6 Apr – Scottish Government extend funding of its hugely successful Help to Buy shared equity scheme for two more years. Over twelve thousand households have already used the scheme to purchase qualifying new build homes with only a five per cent deposit since Help to Buy was first introduced in Scotland in 2013. This, in turn, has supported an estimated nine thousand jobs and contributed over half a billion pounds in Gross Value Added to the economy. 30 Mar – Story Contracting has replaced Carillion as the main contractor for £23m platform extension works at Edinburgh Waverley station. It will include platform extensions, building refurbishments, installation of walkways and escalators. The project for Network Rail, which is in preparation for new, longer electric trains, is expected to last for 12 months. 28 Mar – aNC is greatly encouraged by recent moves within the RIAS to implement significant reform measures. These are in line with the changes aNC has been pressing for. We are supportive of the changes proposed and agreed at this week’s Council meeting and welcome the Institution’s willingness to engage and work together for the benefit of the wider membership. A presentation by Andy Leitch of the Forestry Commission, Scotland and Peter Wilson from Wood for Good of Timber use in construction. 26 Mar – Local projects will share £160,000 to take forward self and custom build housing initiatives. The Self and Custom Build Challenge Fund will support seven pilot projects in Argyll and Bute, Perth and Kinross, Highland, Glasgow and Edinburgh that will look into the feasibility of creating more self or custom built homes. 10 Mar – Proposals unveiled by Optimised Environments for parkland, café, water features and an ‘urban beach’ for Dundee City Council. The latest component of its riverfront masterplan is titled Waterfront Place. 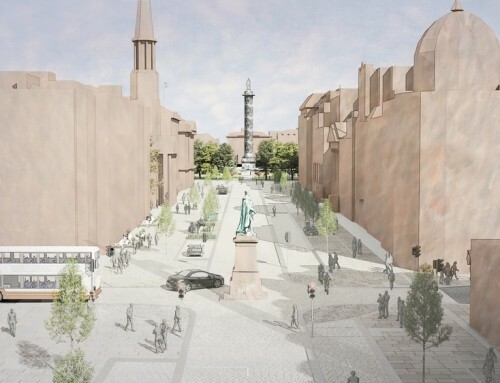 It is due to be an area of landscaped public realm planned to sit alongside the V&A design museum and Slessor Gardens, through creation of a new promenade along the River Tay. As well as providing modern court and tribunals facilities, a range of justice and support organisations will be based in the centre providing integrated facilities for victims, witnesses, litigants and other users. Specialist facilities for children and young people will be incorporated within the design. Thursday 5.30pm – 7.00pm, followed by a wine and nibbles reception in the Foyer of Adam House. 1 Mar / 28 Feb – Lawrence McPherson Architects have returned to Premier Inn at Glasgow’s Pacific Quay four years after checking out with a 180-room waterfront hotel. 27 Feb – Updated detailed proposals released by Glencairn Properties for canalside residential and office development in Fountainbridge. The Gilmore Place proposal creates a mix of 20 apartments together with 2,000sqft of commercial space by opening up a disused section of the Union Canal. The design by ISA Architects reduces the scale of plans submitted in September 2017 following objections. 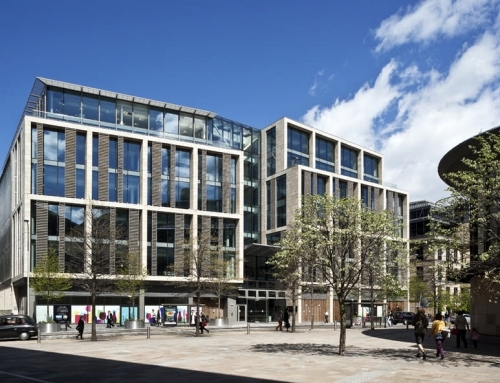 27 Feb – A stalled six-star Jumeirah hotel development site on Glasgow’s Argyle Street is back in contention after being bought by Vanguard Real Estate to accommodate a 280,000sq/ft office block. 27 Feb – Submission of plans to erect 237 homes arranged across four separate ‘fingers’ up to 13 storeys in height by Edinburgh architects CDA for S1 Developments. 23 Feb – Completion of secondary school Designed by Holmes Miller on a £28.5m campus that contain already-completed Sidlaw View Primary and Jessie Porter. Facilities offered include a separate sports hall, gym, swimming pool and greenhouse. 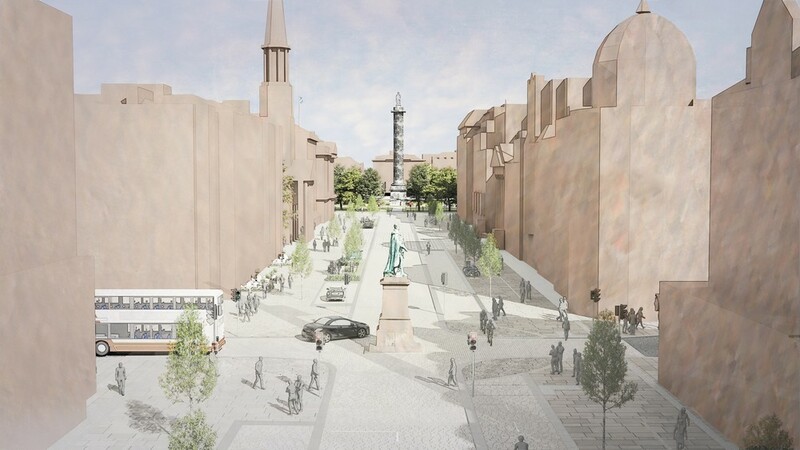 23 Feb – Reworked designs by Richard Murphy Architects prepared for The Haymarket. Previously Interserve and Tiger Developments eventually received plannign consent for this mixed-use development. The controversial proposal is for the site of a former railway goods yard off Morrison Street. The £200m brownfield development is now up for sale. Positive changes include separation of buildings fronting Morrison Crescent to form a pedestrian through route into the scheme. 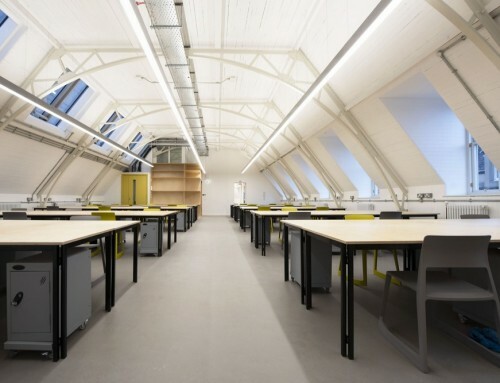 21 Feb – Boroughmuir High School by Allan Murray Architects is now complete by the canal in Fountainbridge. It has transferred from its historic B listed home which is due to be converted into 115 homes by CALA. It was built by contractors O’Hare and McGovern and can accommodate 1,165 pupils the school overlooks the Union Canal by way of a new public park and includes a rooftop games area as well as a full height atrium offering easy access to all classrooms, breakout spaces and facilities. 21 Feb – Industry leaders, policy makers and academics make up the list of speakers at the 2018 annual Scottish Property Federation (SPF) conference, which looks specifically at the value of place-making, the people-centric approach to planning and design of public spaces, and how it is funded. 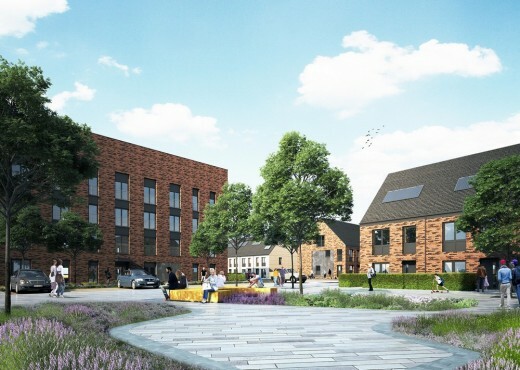 £18.2m new build development will bring 207 new beds to Stirling’s underserved and over-stretched student accommodation market. 20 Feb – Springfield Properties (AIM: SPR), a leading housebuilder in Scotland delivering private and affordable housing, announces its interim results for the six-month period ended 30 November 2017. 17 Feb – Do you belong to a group or organisation that connects heritage with people? A large part of Scotland’s heritage is managed by volunteers and community organisations, but we have no clear picture of this rapidly growing sector. A new project called Community Heritage Scotland has been launched which aims to map it and bring about positive change. We want to find out who is doing what and where, and want to hear from you! The ‘Community Heritage Scotland – Going Forward’ is a discussion day for people involved with heritage in their communities. 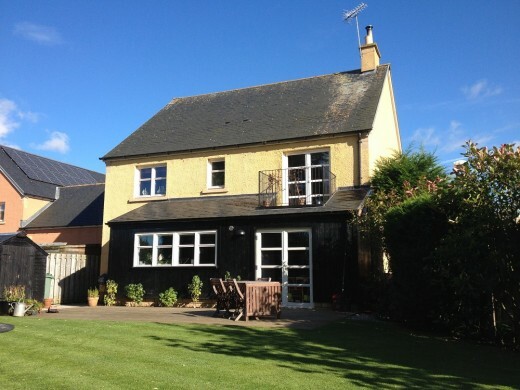 North Muirton Hall, Argyll Road, Perth, PH1 3BZ. The RSA presents the RSA Open Exhibition of Architecture, returning this year as part of the RSA Annual Exhibition 2018. Interested in participating in the Architecture Fringe 2018 open programme in June? You can download the submission guidance here! Closing date for confirmed submissions 12 noon Monday 09 April 2018. 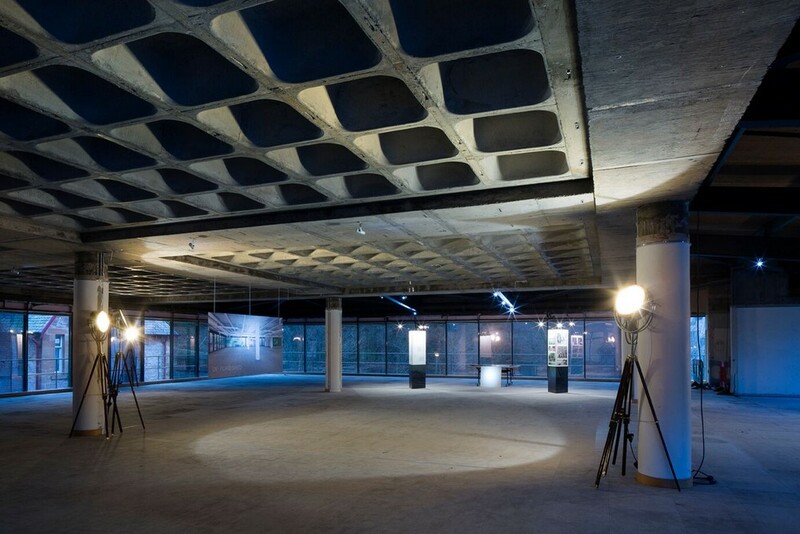 The Architecture Fringe is an independent contributor-led series of projects and events across the arts which explores architecture and its impact. 15 Feb 2018 – major residential expansion designed by Edinburgh architects EMA a around Edinburgh’s Bio Quarter and Edinburgh Royal Infirmary in the south east of the city. Edmonstone Estate will comprise 800 family homes within an all new neighbourhood with a landscape-led masterplan providing for the retention of mature trees and new buildings positioned to maximise their impact. 15 Feb – Restoration starts on redevelopment by architects Page\Park of the A-listed British Linen Bank building in Laurieston, built in 1900 by architect James Salmon. 15 Feb – 45 homes for rent on Batson Street, designed by architects Cooper Cromar, located on the site of the former Victoria Primary School. 8 Feb – Report in the Edinburgh Evening News about Edinburgh Rugby’s hopes for a home ground next to Murrayfield Stadium. 3 + 2 Feb 2018 – Members will have been concerned by articles in the press and may be aware that ‘A New Chapter’ has published it views on RIAS and its future direction. RIAS has been silent on these matters until now as the staff and Council Members have been working hard to put in place mechanisms to ensure that governance issues and wider concerns are addressed, while at the same time ensuring the core business and Membership obligations of the RIAS continue. Below we provide background on work to date. 2 Feb – As Scotland continues to wrestle with how to solve its housing crisis, Homes for Scotland, which represents the providers of the majority of the country’s new homes, has outlined its thinking on the proposals in the Planning Bill currently being scrutinised by the Scottish Parliament. “Public trust in the planning system must be improved to increase receptiveness to home building, so we welcome the emphasis being placed on better collaboration early in the plan-making stage. Accordingly, the Evidence Reports which planning authorities will be required to present will have to demonstrate genuine engagement between planning authorities, community representatives and housing providers. The introduction of Local Place Plans could also provide an opportunity for communities to show what role they can play in articulating how Scotland’s development needs should be met. “Any changes should be fully thought through. For example, an Infrastructure Levy may prove a useful future tool for securing the necessary infrastructure (such as roads and schools) associated with new development in a more transparent way than at present, but the detailed thinking on this is not at an advanced enough stage. It would therefore be more logical to remove the Infrastructure Levy proposals from the Bill and set these aside for separate work”. 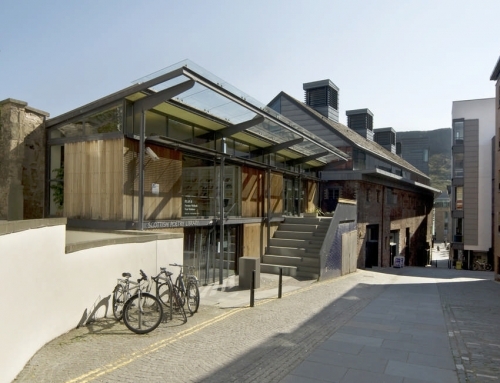 30 Jan – The GSA has been awarded major grant to develop Mackintosh Building immersive exhibit. The exhibit will focus on the conservation the GSA’s collection of plaster casts a number of which were badly affected by the fire. 26 Jan – A New Chapter’s Position Statement in relation to ongoing RIAS matters. This covers a range of issues relating to Police/OSCR investigations, proposals to form new Governance/Finance Committees and the current Council/Presidents’ position. The Position Statement by aNC sits alongside an developing 5-point plan. Further details on our events page. 23 Jan – Nine special places in Scotland are celebrating an injection of £2.4million to help shape their future development. They are the first awards to be made in Scotland through The National Lottery’s groundbreaking Great Place scheme. Architecture Fringe launch call for submissions to its 2018 open programme, which will explore architecture and its social impact under the broader theme of ‘common sense’. Common / Senses is the third iteration of the umbrella grouping with submissions invited which explore shared experiences, everyday life and communal ownership alongside sensory perception, empathy and appreciation. The December update on governance outlined the process and programme for setting up the new interim governance arrangements. There has been a steady response with applications for committee members to assist with the governance committee. We would welcome further interest from members with experience and interest in finance and audit experience that could assist with the new committee. We are therefore extending the deadline for expressions of interest to Tuesday 16th January 2018. Please reply to Karen Stevenson (karen.stevenson@rias.org.uk) with a supporting statement of your experience. The Voigt Partnership has announced that Heinz Voigt, its owner and managing director, passed away on 30 December following a two-year fight against prostate cancer. Voigt worked for 35 years at the architecture practice he founded in Arbroath. The firm operates from a B-listed converted church. It became a chartered practice with the RIAS in 2014. This year’s Awards were launched entirely in tandem with the RIBA. Like the RIBA, the RIAS are also offering a 10% early bird discount. All types of architectural projects are eligible, including conservation, conversions, extensions, interiors, new-build, public realm, regeneration and restoration. Entries which have been previously submitted can be re-submitted and will be considered for both RIAS and RIBA (National) Awards. Projects may only be re-submitted once. Please also register your interest to riasawards@rias.org.uk. £3m funding has been agreed for a ground breaking Highland project that could transform the lives of people with complex health needs as part of the Inverness and Highland City-Region Deal. The business case for the ‘FitHome’ assisted living project was approved on 23 November 2017 with £3m funding from the Scottish Government. The project, led by Albyn Housing Society in partnership with Carbon Dynamic and NHS Highland, aims to establish a new concept for health and care delivery at home by utilising data-capture and Internet of Things capabilities to predict and prevent episodes leading to ill health. This in turn will enable people to live independently at home for as long as they want, while potentially allowing for early hospital discharge. 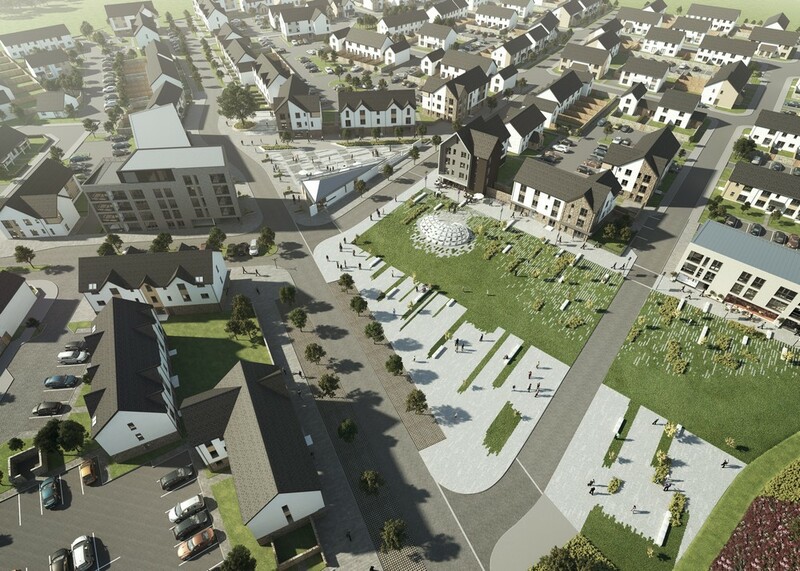 The FitHome concept, which will be piloted initially with the construction of 12 homes at Dalmore, Ross-shire, won the Saltire Award for innovation in housing earlier this year and recently hosted a showcase event at the Scottish Parliament. The Inverness and Highland City-Region Deal funding will support the purchase and development of 32 additional homes across several Highland locations. It is anticipated that the first City-Region Deal project will be in Nairn. One of the clusters will be built in Inverness City to suit the needs of veterans. Nancy Jamieson, City of Edinburgh Council, to give a talk on the general principles, validation requirements and related documentation. Exploring common pit falls and confirming assured way to successful application for consents. There will be ample discussion time also for any related queries with knowledgable officer dealing with on the ground issues attending. More on our events page. The EAA awards showcase and celebrate the very best architecture in the chapter area and beyond, that enhance the built environment and people’s lives, regardless of size, form or budget. Short-listed entries will be displayed and the winners will be announced and presented with their awards at a special presentation event in May. An exhibition of all shortlisted entries will be held in the RIAS Joyce Deans Room at 15 Rutland Square in the run up to the awards event.